Romania Green Building Council is pleased to announce we are participating as part of the BUILD UPON project in a virtual EXPO and Conference dedicated to improving the design and implementation of National Renovation Strategies across Europe. 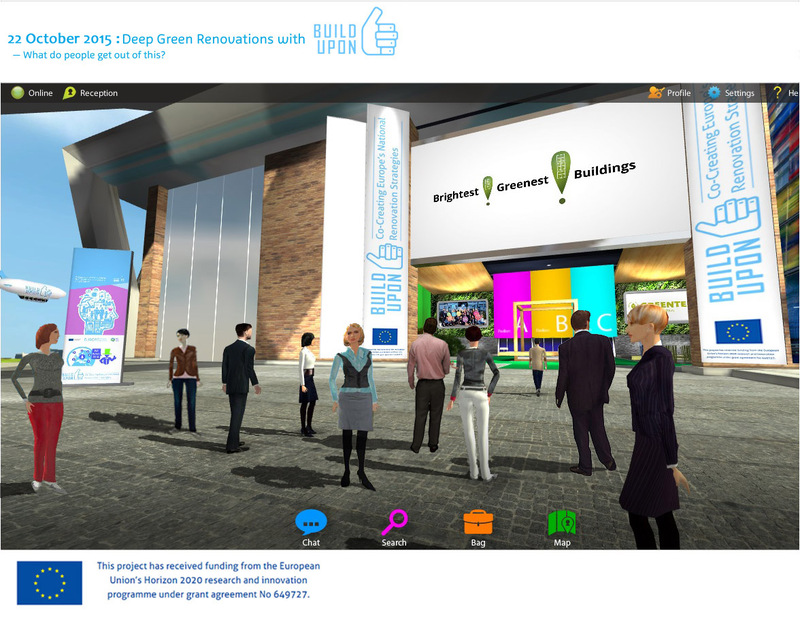 "Deep Green Renovations with BUILD UPON" will combine a virtual conference with an innovative virtual exhibition platform to bring together Europe's most involved and enthusiastic experts, companies, and other important stakeholders active in green building and retrofit initiatives and projects. Save money, time and the planet by attending online with thousands of the greenest building practitioners across Europe as an "avatar" using only your computer! Go to www.BrightestGreenestBuildings.eu for more details and to register as an attendee without cost. We look forward to seeing you in this virtual world dedicated to green building!